Facebook says it will shutter a market research programme that sparked outcry when a report claimed the social network was paying teens and adults to install an application to track their phone and Web activities. According to a report, the Menlo Park, California-based company is paying as much as $20 (roughly Rs. 1,400) monthly to people to install a VPN app called Facebook Research on their iOS or Android smartphones. The app, the existence of which Facebook has confirmed, is offered via third-party app testing platforms and asks for root-level permissions, giving it broad access to the activity on the participating user’s smartphone. According to a report by TechCrunch, Facebook Research seems to be a successor to company’s Onavo Protect VPN service that it had acquired back in 2013. The social giant had to remove Onavo Protect from Apple’s App Store over privacy concerns in August last year. Onavo Protect had proved quite useful for the company as it helped Facebook keep a tab on the users outside of its own apps and how they were interacting with its competitors. It seems the company is now using the Facebook Research app to do the same by circumventing Apple. The TechCrunch report claims the Facebook Research app is offered by three beta-testing platforms – Applause, BetaBound, and uTest – to keep Facebook’s involvement hidden as well as to avoid Apple’s official beta-testing platform TestFlight. 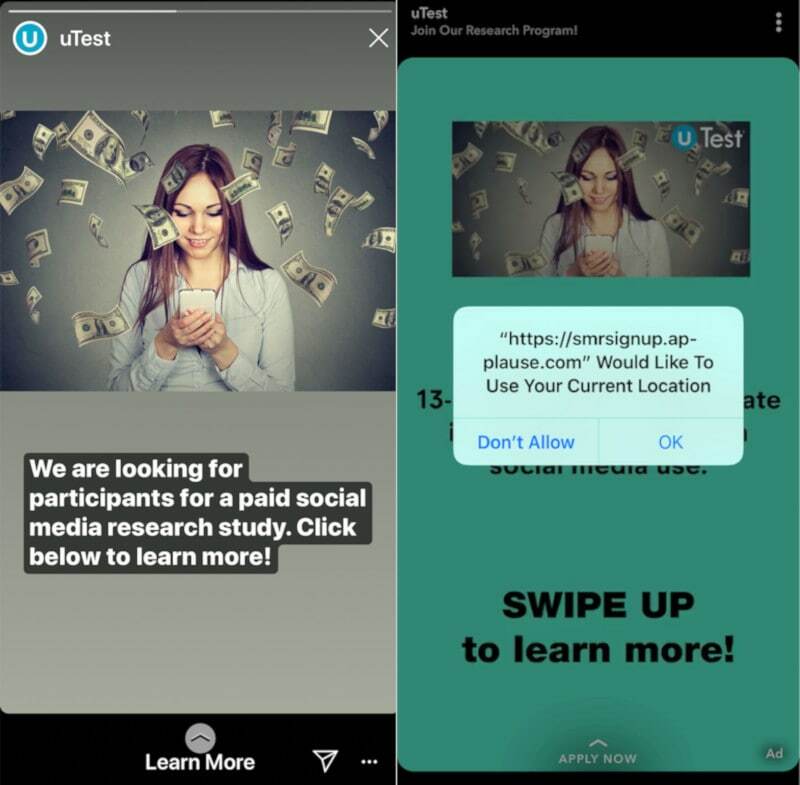 It has reportedly been distributed since 2016 and the company is said to be running advertisements on Instagram and Snapchat offering people (aged 13-35) cash for participating in a social media research. The signup pages for the program don’t mention Facebook, the report added. 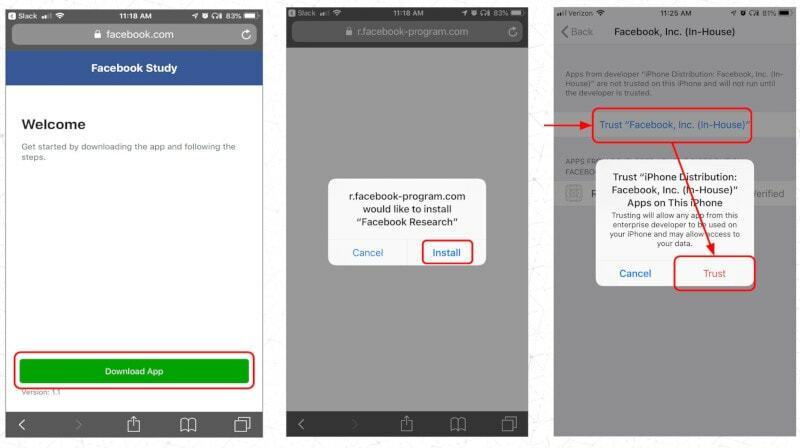 TechCrunch claims that even though Facebook Research is not being offered via the App Store, the app is still in violation of Apple policy as the app asks its users to install an Enterprise Developer Certificate and ‘Trust’ Facebook to give the company access to their data. Apple requires that developers only use the certification method to distribute apps to their employees, and not to normal consumers. The distribution to randomly hired and paid volunteers certainly doesn’t go in line with Apple policy. With Facebook increasingly becoming synonymous to a company with no moral qualms about its policies around people’s privacy, revelations such as this are becoming unsurprising. The company clearly has no misgivings about putting its growth and revenue over user privacy. Previous Can you trust the personal Internet of Things?